Basic Makeup Products Every Girl Must Carry all the Time-Ever wondered what all makeup items the models or celebrities carry in their bags? Makeup can make any woman look pretty and attractive but most of the women don’t know how much makeup they should put on. There’s also confusion about what makeup products to use. A well-stocked makeup bag is everyone’s wish but the most essential thing of all is the right product. Only choosing the right product can give you the appropriate look on your face. Products that you can take anywhere easily. Not necessary that you need to take all the products but just the important ones. Ladies fail to understand what products they have to use, instead they use what they should not. Today we will tell you what Celebrity makeup artist Jill Powell has to say. She will share ten products that give you a flawless look for daytime and nigh time. Before telling you the products you need to make sure what your skin type is, what complexion you have etc. Only then you can start with the basics. According to Jill Powell, most women have no clue what to do with all the products. That is the time when you should try the basic makeup techniques. 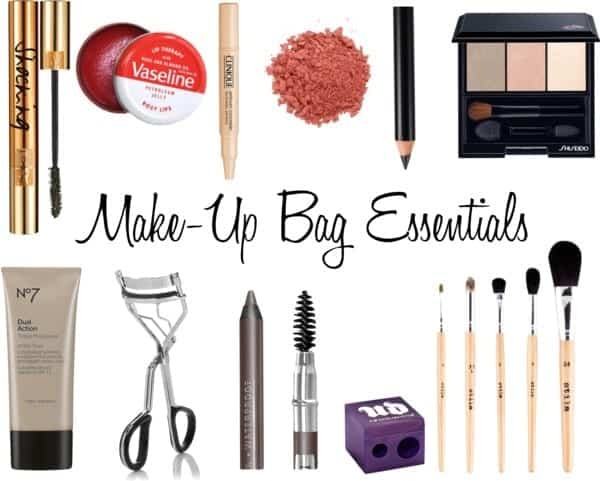 Lets see the 8 Makeup Bag Essential Products. 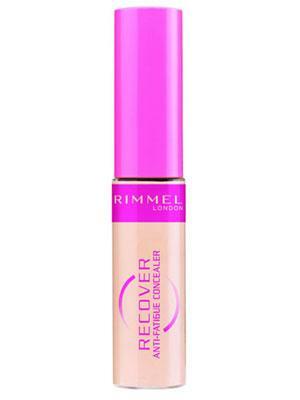 Concealer is use to hide the dark eye circles under the eye and since it is creamy like texture it hides the spots on the face. 2-Foundation. To uneven the skin tone you need to apply foundation over the face. This way the skin complexion will look balanced and clear. You can also use a moisturizer on the face if you don’t want to use foundation. To add colour to the cheeks, apply a little blush on the face. There are variety of colour tones in blush. For shining you need to apply the translucent powder. Only a little amount is enough for the skin. Defining your eyes is very essential. For this you should use mascara over the lashes because it will enhance the lash length. You can also find coloured mascara. For this you can use only a beige colour eye shadow. This will give a natural look to the eyes. You can use your darker shade of eye shadow as a liner along the lashes—or use a dark brown or black pencil to create a thin line that will define and enhance your eyes. Colour on the lips of a little gloss can complete the basic makeup. Apply colour that matches your dress.